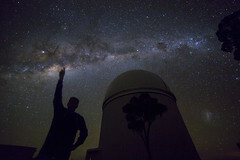 The Calar Alto Legacy Integral Field spectroscopy Area (CALIFA) survey is a project that aims to obtain data of around 600 nearby galaxies using the PMAS (Potsdam Multi Aperture Spectrophotometer) instrument of the 3.5m Telescope at the Calar Alto Observatory (Almería, Spain). 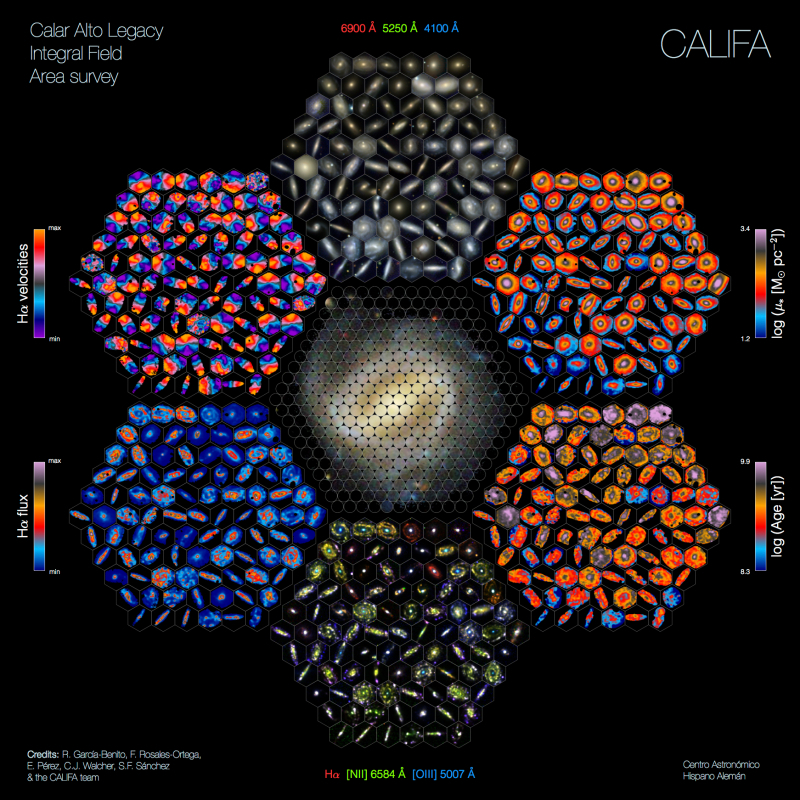 The CALIFA survey combines the advantages of two observational techniques: imaging (that provides detailed information on galactic structure) and spectroscopy (that reveals the physical properties of galaxies, such as their kinematics, mass, chemical composition or age). 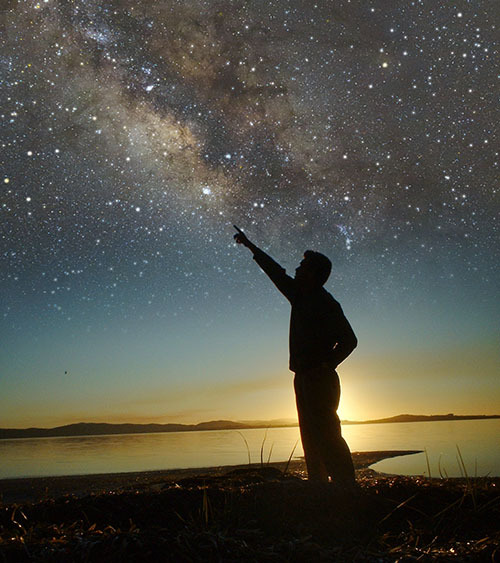 The CALIFA survey makes use of the Integral Field Spectroscopy (IFS) technique, that allows obtaining at the same time around a thousand of spectra per galaxy, hence getting simultaneously imaging and spectra of astronomical objects. A galaxy is “dissected” in thousands small regions, each one having its particular spectrum (wavelength) when using Integral Field Spectroscopy (IFS) techniques. The result is getting a datacube: two axes (x and y) possess the spatial information (the image of the galaxy, which can also be separated in several colours) and the third axis (wavelength) keep the spectroscopic information. 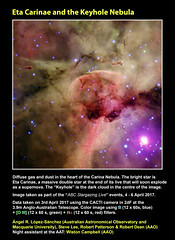 Credit: Marc White (RSAA-ANU). Thanks to these data, astronomers of the CALIFA team have been able to deduce the history of the mass, luminosity and chemical evolution of the CALIFA sample of galaxies, and thus they have found that more massive galaxies grow faster than less massive ones, and that they form their central regions before the external ones (inside-out mass assembly). CALIFA has also shed light on how chemical elements needed for file are produced within the galaxies or on the physical processes involved on galactic collisions, and it has even observed the last generation of stars still in their birth cocoon. CALIFA “panoramic view” (also CALIFA’s “Mandala”) representation, consisting of the basic physical properties (all of them derived from the CALIFA datacubes) of a subsample of 169 galaxies extracted randomly from the 2nd Data Release. It shows 1) broad band images (top center), 2) stellar mass surface densities (upper right), 3) ages (lower right), 4) narrow band images (bottom center; emission lines: Hα [N II] 6584 Å, and [O III] 5007 Å), 5) Hα emission (lower left) and 6) Hα kinematics (upper left). The CALIFA logo is placed at the central hexagon. Credit: R. García-Benito, F. Rosales-Ortega, E. Pérez, C.J. Walcher, S. F. Sánchez & the CALIFA team. Today, Oct 1st, the CALIFA Team (and I’m part of it) has released 400 IFS datacubes for 200 nearby galaxies, the 2nd Data Release (DR2). 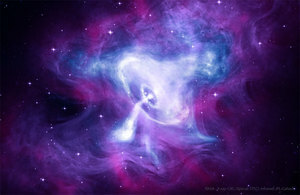 The data are publically available and can now be used by astronomers around the world. The second CALIFA Data Release provides the fully reduced and quality control tested datacubes of 200 objects in two different spectral configurations. Each datacube contains ~1000 independent spectra, thus in total the CALIFA DR2 comprises ~400,000 independent spectra (~1.5 millon after cube reconstruction). 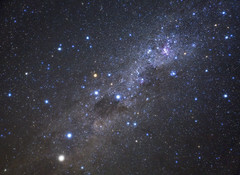 The scientific details of the data included in the CALIFA DR2 are described in this scientific paper lead by the Spanish astronomer Rubén García-Benito. This entry was posted in Astrophysics, Galaxies, My Research, Observation, Observatories, Optical, Profesional and tagged 2014, astronomy, CAHA, CALIFA, Galaxies, IFS. Bookmark the permalink.